Successfully saved Blueberry Brain Healthy Smoothie to your Calendar. You can also save the ingredients to your Grocery List. 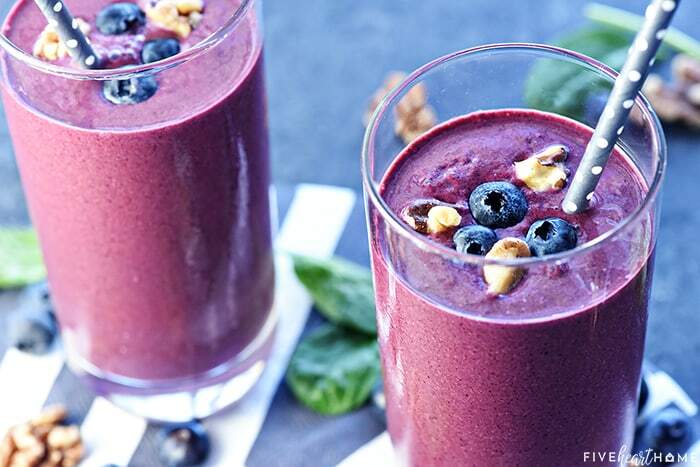 Blueberry Brain Healthy Smoothie is loaded with blueberries, walnuts, and spinach for a creamy, delicious, brain-protective breakfast or snack!